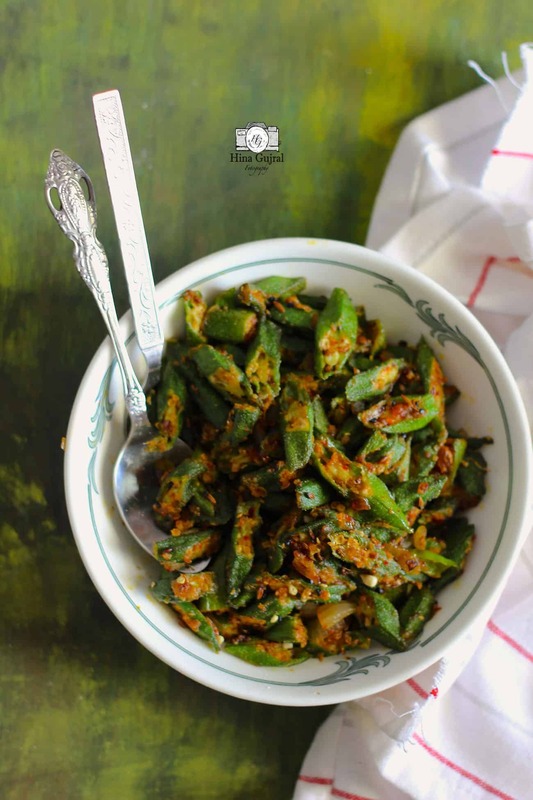 Masala Bhindi Recipe is a simple yet delicious crispy okra recipe, ideal to make for an everyday meal. 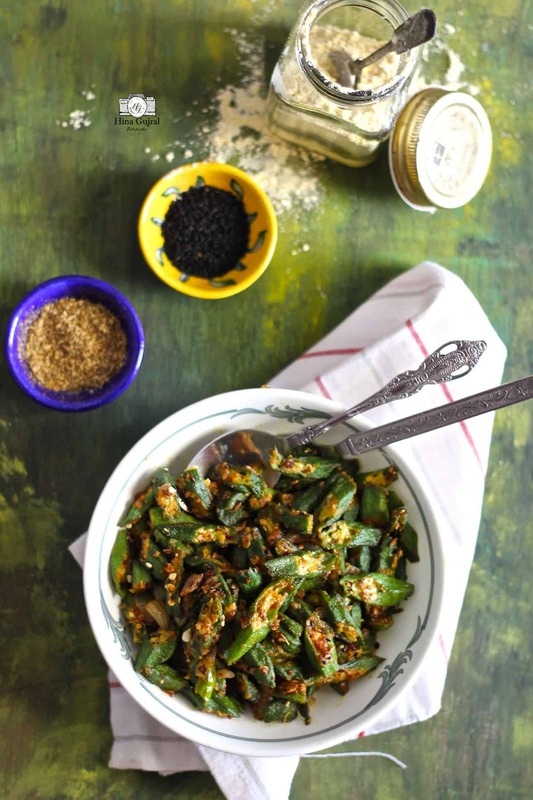 When it comes to okra, husband always creates a fuss about eating it. I tried almost all the ways to cook bhindi but his facial expression is the same – ‘Gloomy’. 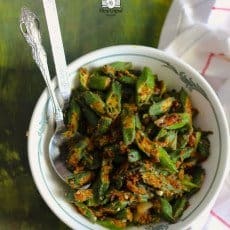 Recently I come cross Masala Bhindi Recipe and for the first, in three years of marriage, my husband not only relished bhindi that too without any complains, so I thought Masala Bhindi Recipe is worth sharing. 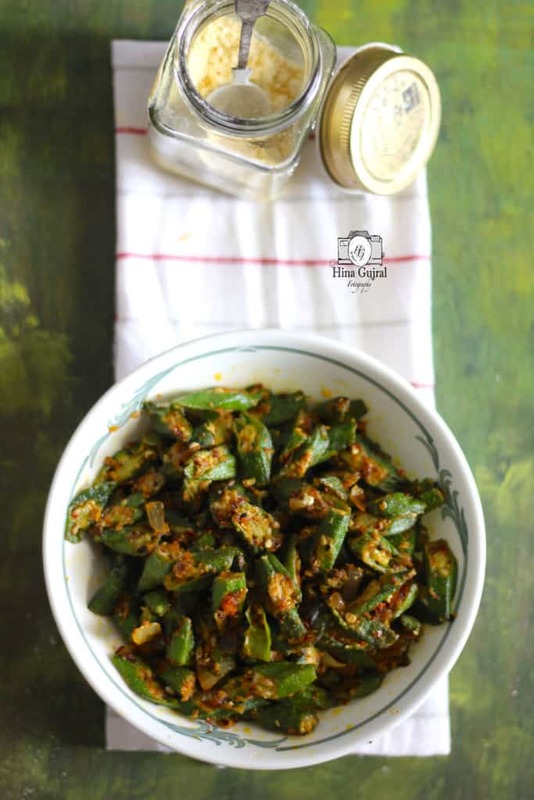 Ladyfinger can be a tricky vegetable to deal with slightly excess water while cooking can make it mashed up and washing after cutting ladyfinger results in a sticky vegetable. While buying ladyfinger make sure you do not fall for those giant sized ladyfingers because most of the times they are quite hard and takes a long time to get cooked. Just now tried….i added besan for the first time… Thanks for the twist…loved it. Glad you like it. Stay tuned with us for more such recipes.